We were delighted to host a presentation by our colleague and Associate Professor of Philosophy and Religion Dr Johan Siebers on the Rhetoric of Death and Dying. Johan discussed how death is viewed and talked about from antiquity to present-day. My highlight was the reference to Pericles’ unparalleled Funeral Oration. Below is the link to the entire presentation. The Language and Communication research cluster is delighted to announce a presentation by our colleague and Associate Professor of Philosophy and Religion Dr Johan Siebers on the Rhetoric of Death and Dying. The experience and awareness of death and dying is a constitutive factor of human existence. For some philosophies, world views and religions death is the ultimate horizon against which finite existence acquires meaning and becomes liveable. For others, the experience of death is an experience of the breakdown of all meaning and death is “the scandal of philosophy”. For still others, death and life are two sides of the same coin, mutually enabling each other even to the point where death becomes the gateway to life or another life and living and dying merge, while there are also views which hold that while we are here death is not, and when death is here, we are not, so there is nothing problematic about the end of life called death, except perhaps that we haven’t found a way to prolong life indefinitely. Not really living or not living well is far worse than death or dying. We know our deepest grief, loss and fear in the face of death but also hope, equanimity and even gratitude. Mortality is as central to human existence as the fact that we have language. The human being is the animal rationale who vivifies her life by the conscious expression of it, no less than the one who is moribund (humus, soil), because she knows she is. So however we choose or come to live in the face of mortality, our own and that of others, it is clear that death has a profound connection to meaning. In this paper I will not so much investigate different views, analyses, understandings or ways of talking about death, but rather look at how speech shapes itself in the face of death. The confrontation with death urges us to speak as speaking seems the only way of meeting something that completely overpowers us, and yet death is also an ultimate experience that leaves us often literally speechless so that silence seems the only response commensurate with the event; every word is too much and not enough at the same time. Yet a death that finds no words at all is not human and more traumatic than death itself is anyway. What happens to language at this limit-point of human existence, where words and silence light up as dependent on each other in a way we do not understand? Rhetoric, as a way of reflecting about language and meaning and as a practical engagement with speaking, since its beginning recognized that speech involves the head, the heart and the body – the whole human being. It also has a long history of speaking to death; the genre of the eulogy is a standard form in oratory. Rhetoric as it is pursued today no longer is the mere art of persuasion, but the attempt to become conscious, in theory and practice, of what it means to be a speaking being. I will align myself with this view of rhetoric and explore what it can contribute to the question how to live with the disquieting and urgent drive of speaking in the face of death. This, in the end, is a question about wisdom. Johan Siebers is Associate Professor of Philosophy and Religion at Middlesex University. He is also an Associate Fellow at the School of Advanced Study, University of London, where he leads the Ernst Bloch Centre for German Thought. He has published widely on 19th and 20th century German philosophy, metaphysics, philosophy of communication, rhetoric and futurity. He is founding editor of Empedocles: European Journal for Philosophy of Communication. 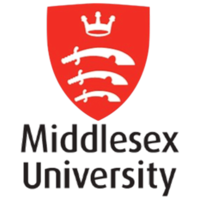 Before coming to Middlesex he designed and led the first MA in Rhetoric in the UK, at the University of Central Lancashire.